When Kim Hazel starts her Christmas decorating, she shops. “I typically start with any new purchases,” she explains. But not long after that comes the fun part—pulling all her holiday treasures out from storage, where they’ll find new life again, if only for the next couple of months. Her fairy tale-like decorations have the makings of a child’s dream, with all the elegance an adult would crave. Neutral tones like white, beige, gray, and soft blue hues abound from her floors and walls and extend to the furniture, while her accent pieces have the fun with color. 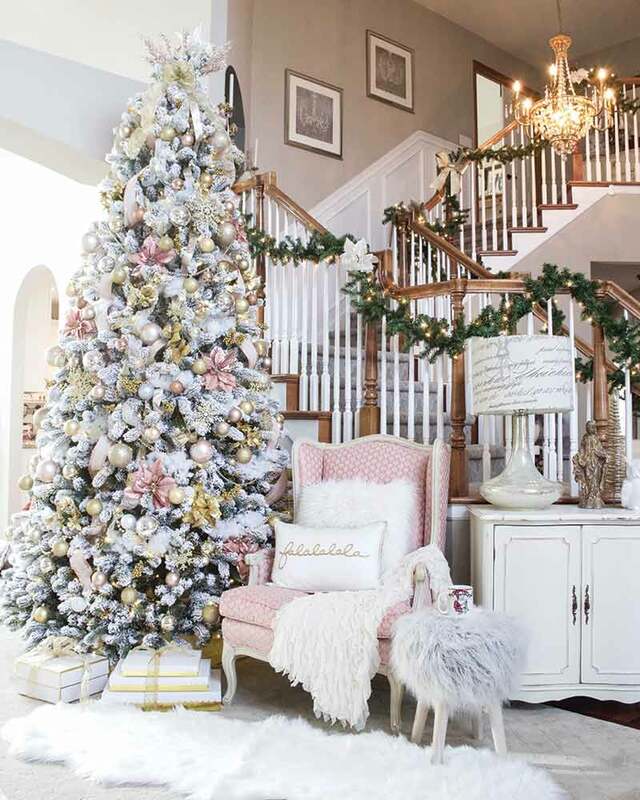 Pink chairs, faux fur stools, snowy flocked trees—there’s no shortage of whimsical glam in her home. 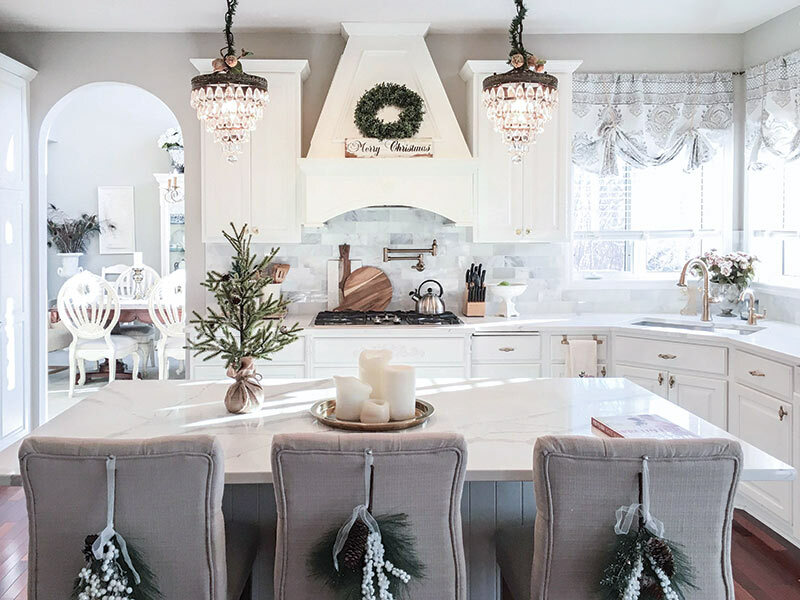 Before you even walk through the door, you’re greeted with the sights and smells of fresh seasonal greenery in the form of garlands, wreaths, and trees surrounding her entrance. From there, the warmth of the space is immediately evident from the first step into the foyer. Glittering lights from a crystal chandelier hang overhead while a lit garland is draped down the stair rails and one of her many Christmas trees offers a cheerful welcome. 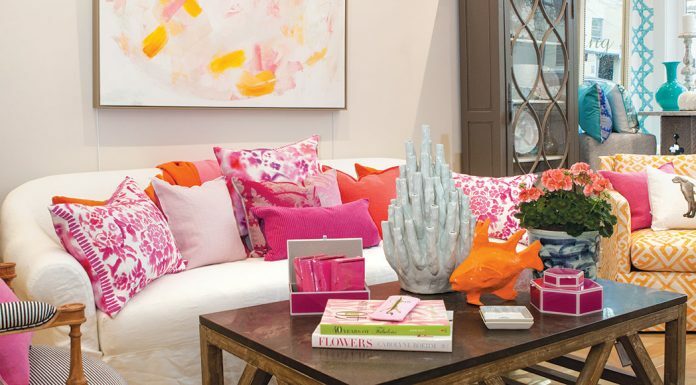 French-style armchairs draped with holiday pillows and cozy throws beckon you to enter. 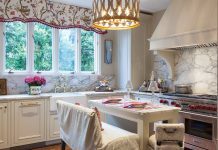 Moving into her living room, an expanse of chic furnishings, from the mirrored coffee table to the gilded reindeer that perches atop it, creates an inviting space for holiday guests and family to gather. 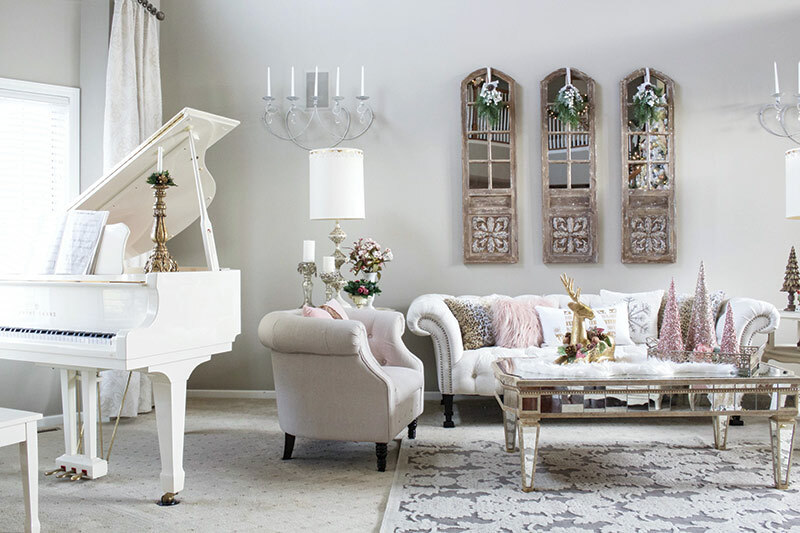 A white baby grand piano anchors the room, and rustic, distressed vintage-style mirrors complement elegant, crystal-laden sconces above a tufted sofa covered in cozy pillows.